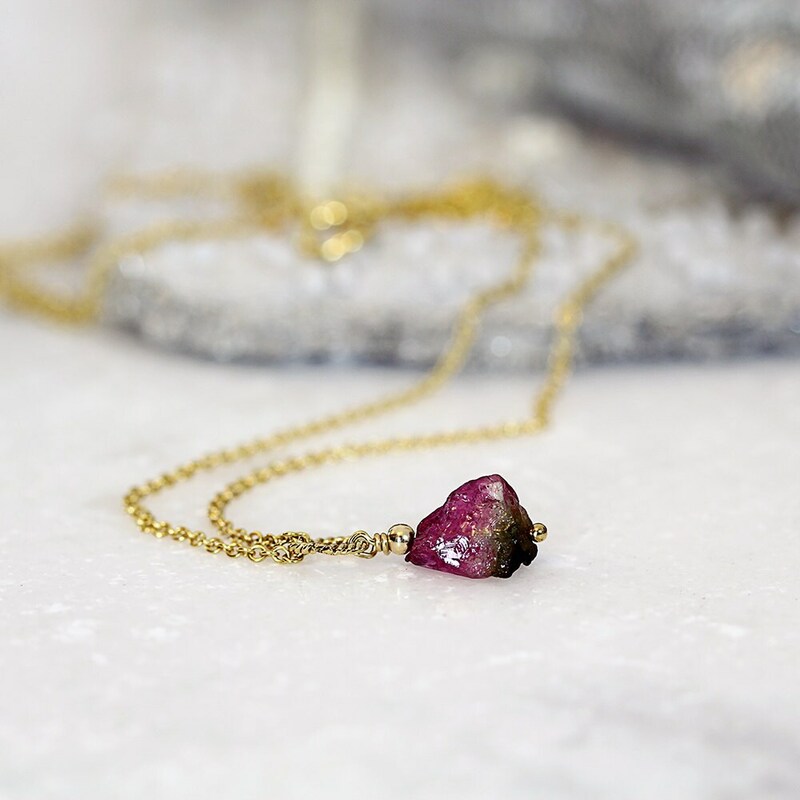 This exquisite little watermelon tourmaline pendant necklace is minimal, modern and elegant, and will bring a unique finishing touch to any outfit. 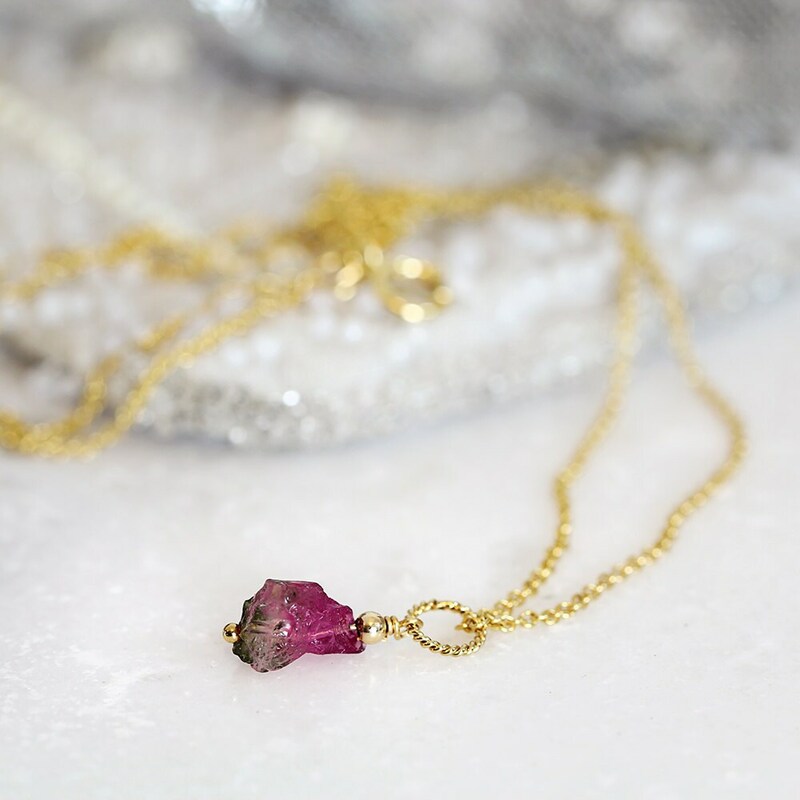 Featuring a tiny but gorgeous tourmaline stone in it's wonderfully natural, raw state. The watermelon pink and green colours are rich and delicious. Hung on a simple 14k gold fill chain with matching gold fill accents. Also available in rose gold or sterling silver. 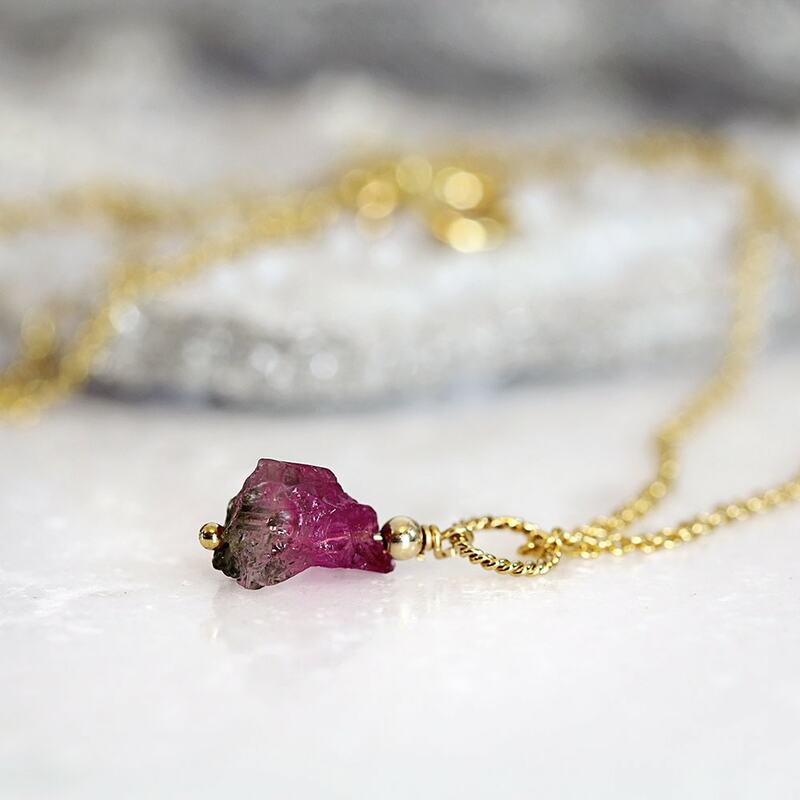 Tourmaline in general is also said to increase happiness, hope, self confidence and creativity. 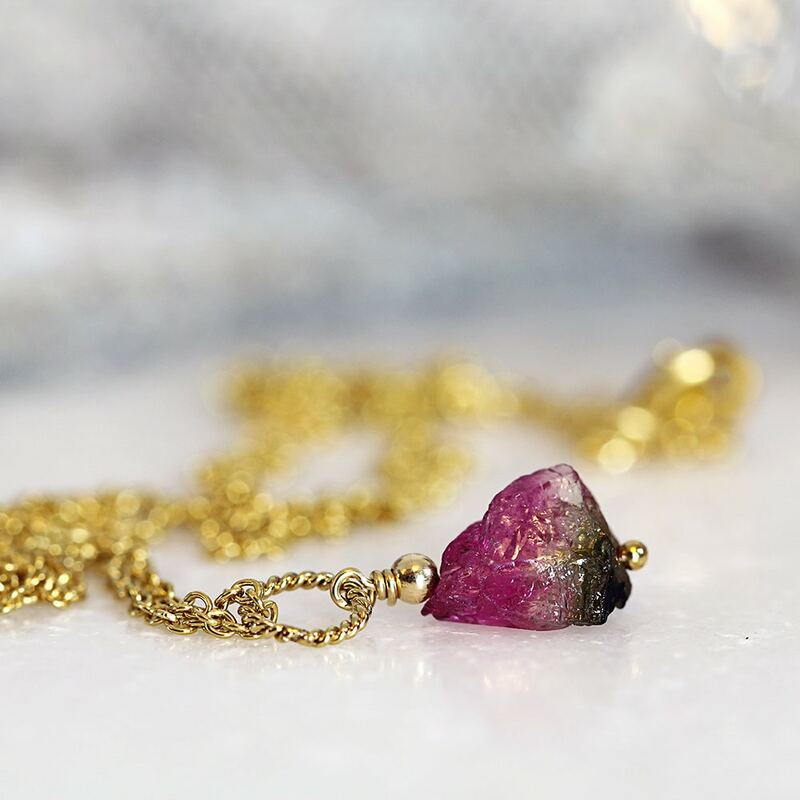 Watermelon tourmaline, specifically, is considered to be a stone of great joy as it brings so much positivity by inspiring a sense of love, luck, creativity, abundance and healing. At the same time it can also dispel fear, anxiety and sorrow. This is a very simple, chic and minimal necklace, and makes a gorgeous gift for a loved one - for mum, sister, girlfriend, wife or a friend - for any occasion such as a birthday, a graduation, an anniversary, Christmas or Valentines Day gift. These are raw, natural stones, so please do expect a little variation in size, shape and colouration. 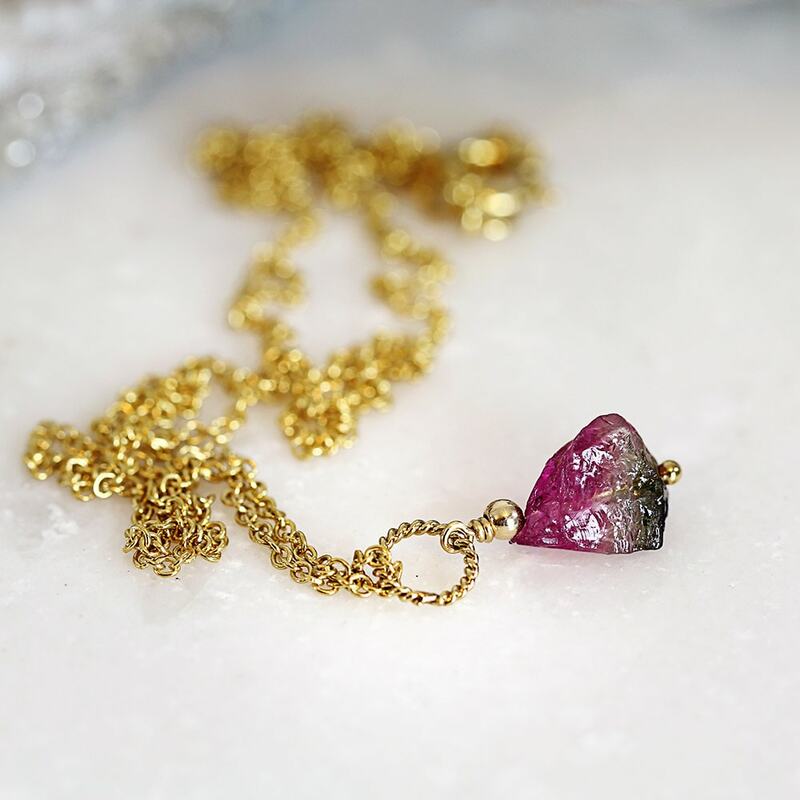 * Tourmaline stone measures approx 8mm - 10mm on average. Lovely necklace! The stone is a little smaller than I expected but it’s dainty and gorgeous. It’s unlike any crystal necklace I have. Beautiful stone and necklace- thank you! !